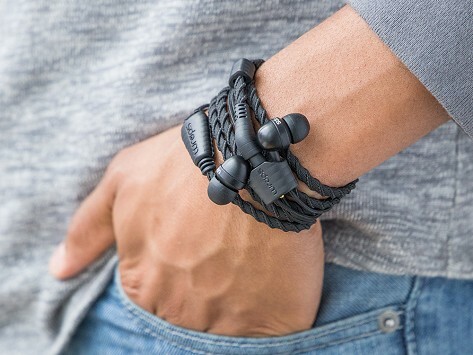 Disguised as a wrap-around bracelet, these wristband headphones have a braided texture that makes them averse to tangling and easy to unwrap. Accessorize and conveniently play music—or even jump on a call. The Talk Series Wraps are equipped with a button microphone so you can pause, play, and call with a click. Dimensions: 51.18" x 1.65" x 0.47"
This is a great way to carry my headphones. I haven't used it as a microphone yet, but I'm glad to have that feature. This is a great product! Best thing for the teens, tweens and twenties!!! 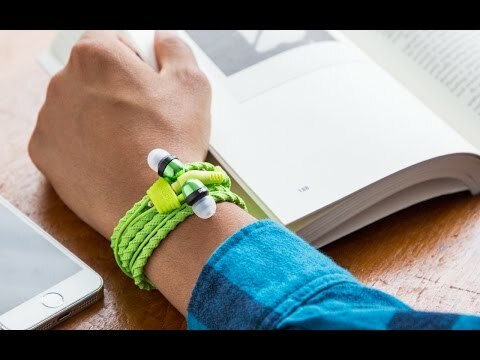 Whether you’re listening to some quality tunes or just keeping them on your wrist, they’re always conveniently accessible.